The Internal Revenue Service (IRS) is notorious for its close scrutiny of U.S. taxpayers – and for imposing extremely harsh penalties in the event of failure to file or failure to pay taxes where required. If you have not paid or filed your taxes for previous years, it is critically important that you consult with a skilled and experienced tax attorney before you find yourself targeted for criminal prosecution or assessed costly civil penalties. The tax attorneys of the Brager Tax Law Group have decades of practical experience assisting San Jose, California residents effectively and efficiently resolve their tax problems and come back into compliance with state and federal laws. We can negotiate with the IRS or the applicable California taxing authority, review your tax documents for accuracy and precision, help you explore your legal and financial options, and fight criminal allegations of willful misconduct such as tax evasion or attempted tax evasion. However, time is of the essence. The resolution of tax compliance issues is often contingent upon very strict deadlines, and if you delay taking action for too long, you may miss out on opportunities to reduce civil penalties or avoid criminal liability. Don't allow your window of opportunity to close: call the Brager Tax Law Group at (800) 380-TAX-LITIGATOR right away to begin discussing your financial matter in a private case evaluation with our attorneys. What Should I Do if the IRS Questions Me About My Tax Returns? Being questioned by an IRS agent is often an intimidating experience, particularly for taxpayers who lack experience with the agency. All too often, taxpayers compromise their legal positions by making inadvisable comments due to feeling nervous and pressured. Certainly, IRS questioning places the taxpayer in a difficult quandary. On one hand, stating that you have filed all of your tax returns as required when you know such a statement to be false is a crime. If you deliberately lie to the IRS regarding the status of your unfiled tax returns, you could be sentenced to up to three years in prison, in addition to enormously expensive fines. On the other hand, however, if you truthfully confess that you have not filed previous tax returns, you have potentially just admitted to committing the crime of willful failure to file taxes. From this standpoint, it would seem that taxpayers are trapped by criminal charges regardless of whether they confirm or deny the IRS agent's allegations. In this sort of situation, the most beneficial response is to neither confirm nor deny the allegations, but to request a time extension to review your financial records. In most cases, the IRS will permit an extension of 60 to 90 days for taxpayers to gather their paperwork. This sort of response will allow you time to consult with a tax attorney who will guide you through your options for resolving the problem. Can I Be Charged with a Crime for Failure to File a Tax Return? Unfortunately, the short answer to this question is yes: you can be charged with a crime for failing to file a timely and accurate tax return. The crux of these criminal charges is that the taxpayer acted intentionally, or “willfully”; meaning you may be able to escape criminal liability if your tax attorney can convince the IRS that your noncompliant conduct had valid underlying reasons, and that you did not act purposefully. In other words, you face $25,000 in fines and up to a year in prison if you are found guilty of willful failure to file or pay taxes. These fines and penalties, while already harsh, can increase steeply if the IRS finds the taxpayer's conduct amounts to willful tax evasion, which is a felony. Under IRC 7201, any taxpayer who “willfully attempts in any manner to evade or defeat any tax” is subject to a dramatically increased fine of $100,000, and up to five years in prison. Tax evasion involves deliberate, illegal conduct specifically intended to avoid the appropriate payments, such as concealing assets in offshore accounts. Offshore accounts totaling or exceeding $10,000 at any point during the reporting year must be reported by filing an FBAR (Report of Foreign Bank and Financial Accounts). Taxpayers with unreported foreign income may be eligible to participate in the OVDP (Offshore Voluntary Disclosure Program), but only if the IRS has not already initiated a criminal or civil investigation. If you are a San Diego resident with delinquent returns or unpaid taxes, you need to contact a tax attorney immediately. Delaying action can result in the foreclosure of certain corrective actions and less favorable terms. 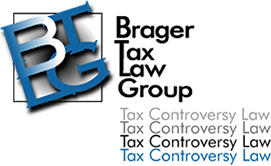 To arrange for a private consultation, call the Brager Tax Law Group at (800) 380-TAX-LITIGATOR or contact us online today.